Homemade Gluten Free Graham Crackers. Super delicious and easy to make. I had so many requests to make a Gluten Free Version of my Graham Crackers. in a mixing bowl place the soft butter and sugar and cream together until nice and light and smooth. Add the honey and vanilla extract and mix together. Next add the flour, baking powder and cinnamon and finally the milk and stir together until the dough starts to form. Now use your hands to form into a smooth silky dough. Set to chill in the fridge for an hour or so. Once the cookie dough has nicely chilled remove from the fridge and I find it easier to cut the dough in half as it is more manageable. Sprinkle the countertop with flour and use a rolling pine to roll out the dough to about 1/8th inch in thickness. I made a cardboard template of the size of cracker i wanted and used this ads a guide to cut out the dough. Mark each cracker across the centre with a ‘snap’ line and prick with a fork to make the original graham cracker design on top of the cracker. 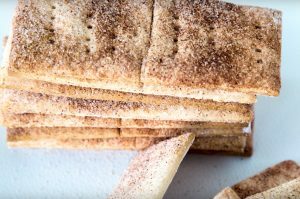 Lift the crackers onto a baking tray and sprinkle with cinnamon sugar. Once all the crackers are on the tray place in the fridge once again for 20-40 minutes to chill. Preheat the oven to 150C / 300F and once the crackers have chilled place in the oven for 10-15 minutes. Bake until golden brown then remove from the oven and place onto a cooling rack to cool. 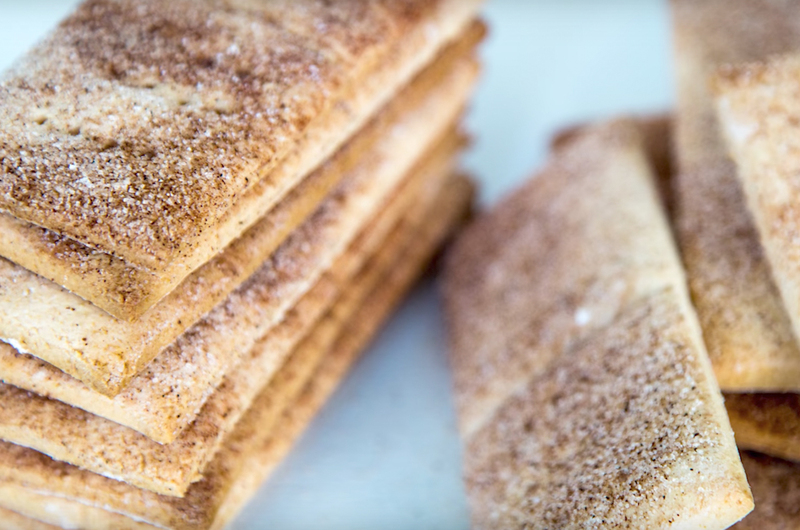 Your Gluten Free Graham Crackers are now ready to be enjoyed ! !